FREE Chicken Sandwich at Chick-fil-A of Madison Street w/ Donation! Sorry I didn’t see this earlier! Until 8pm tonight, if you bring 10 canned goods (to be donated to the Manna Cafe) to Chick-fil-A of Madison Street, you’ll get a FREE chicken sandwich! Local singer Lydia Walker is performing, too! Great cause, great food, great music — what’s not to like!? 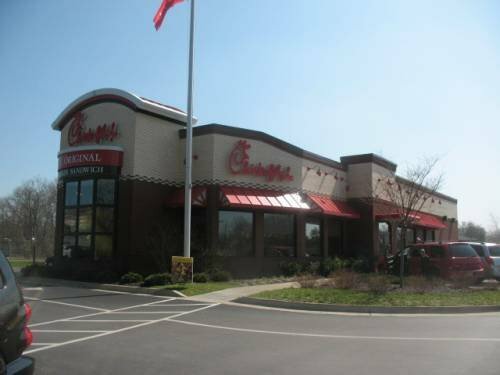 Comments Off on FREE Chicken Sandwich at Chick-fil-A of Madison Street w/ Donation! New Offers From Kraft First Taste, Including FREE Kraft Fresh Take! If you’re a member of Kraft First Taste, you might have received an email recently letting you know that you have new offers! 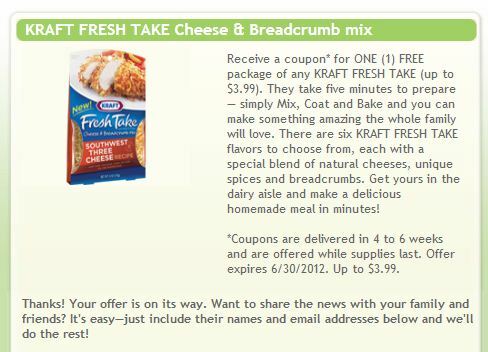 I had two offers: one for a FREE package of Kraft Fresh Take Cheese and Breadcrumb Mix (arrives by mail in 4-6 weeks), and one for $1.50/1 Philadelphia Cooking Cream (instant print)! Log in to see if you have any offers pending! Not a member of Kraft First Taste? You should be! Kraft First Taste members love the fact that they are always among the first to know about new Kraft Foods products and programs. And they love the fact that they can share great products with friends and family. You get FREE products and high value coupons just for being a member and agreeing to try out their products. Too cool! Comments Off on New Offers From Kraft First Taste, Including FREE Kraft Fresh Take! 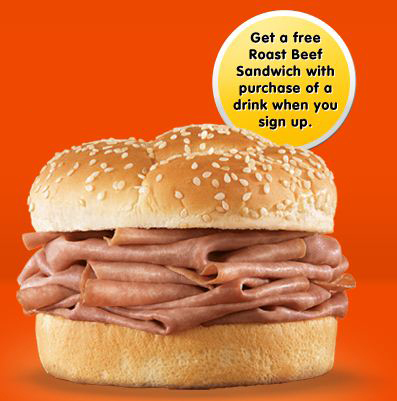 Sign up for Arby’s Extras and they’ll give you a coupon good for one FREE Arby’s Roast Beef Sandwich when you purchase any drink! Download Guns N’ Roses’ “Greatest Hits” Album for $0.25! Visit GooglePlay and download Guns N’ Roses’ Greatest Hits (the entire album) for just $0.25! Wow! This is a daily deal, so buy it now if you want it. If you would rather buy from Amazon, they have price matched this deal. 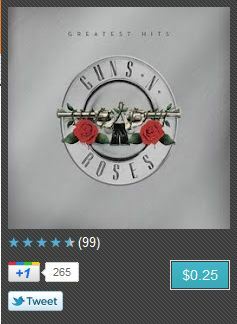 Comments Off on Download Guns N’ Roses’ “Greatest Hits” Album for $0.25! FREE Birthday Card from CardStore.com! Reminder: Every day until March 14th, CardStore.com is giving away 25,000 FREE cards per day! How cool is that? Just choose your card (up to a $6.00 value), personalize, and checkout! Comments Off on FREE Birthday Card from CardStore.com! 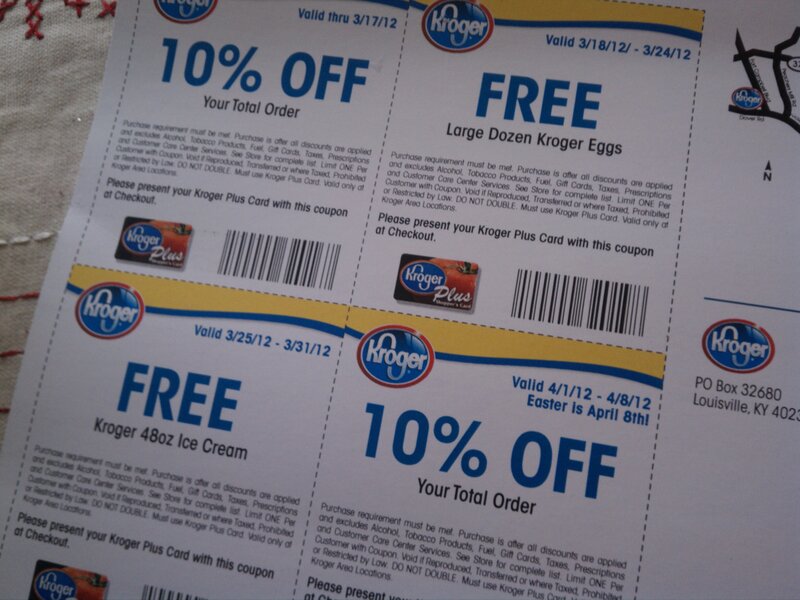 Kroger Coupons in the Mail! Sweet mailbox deal alert! If you’ve registered your Kroger card on their website and have your address on file with them, keep an eye on your mailbox to see if you get this fantastic mailer! Two 10% off coupons (which you can use on top of all your other coupons in that trip) and two FREE product coupons – awesome! I’m particularly excited because my husband has been wanting ice cream lately, and I almost never buy it — but I’ll take 48 ounces for free!! Note that they have staggered start/end dates, and the first one expires THIS Saturday, so if you do get these, use that one up quickly and then keep an eye on the start dates for the other three (each one is good for a week). Comments Off on Kroger Coupons in the Mail! They’re doing it again! 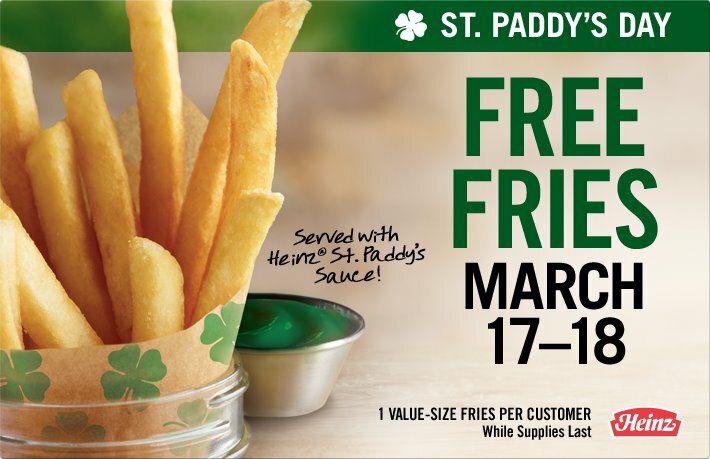 Stop by Burger King on St. Patrick’s Day weekend and get value-size fries for FREE served with Heinz St. Paddy’s Day Sauce, no purchase necessary! They did this promotion awhile back (during the Super Bowl, I believe), and I have to share with you my awesome customer service story. When we stopped in to get our freebies (one per person, and there were two of us), we had to wait while they cooked up a new batch of fries. Fine by me, the fresher to better! They asked us to pull up and wait, and when the girl came out with our order she told us that they had upgraded our size at no charge since we had to wait. I love great customer service! For more info on this promotion, just Like them on Facebook! FREE Sample Box of Quaker Oatmeal Squares! 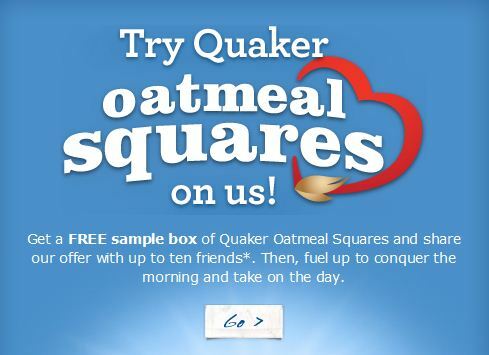 Like Quaker Oatmeal Squares on Facebook and sign up to receive a FREE sample box of cereal! Comments Off on FREE Sample Box of Quaker Oatmeal Squares! 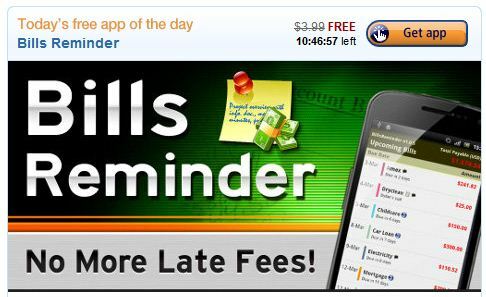 Today’s FREE premium app for Android users from the Amazon AppStore is Bills Reminder (reg. $3.99), an app designed to help keep you on top of your payments. I personally use Mint for this (also FREE), but if that’s not your cuppa, this one might be! Need a better way to manage your bills? Tired of stacks of bills around the house or constantly paying late fees for overdue bills? It’s Bills Reminder to the rescue! This all-in-one app for Android makes it a cinch to manage your upcoming and overdue bills while on the go. The easy-to-use interface lets you easily enter all of your monthly bills, such as rent, credit cards, car payments, and more. Another great feature lets you record paid bills and invoices for future reference. You can even take a picture of your bills or invoices to keep a digital record. Simply key in your payment due date, and Bills Reminder will notify you in advance when your bill payment is coming due. Make sure the app works for you and your schedule by customizing the exact time and day for your reminders. The app will notify you of both upcoming and overdue bills for one-time payments and recurring bills. Bills Reminder allows you to copy files to and from your computer via USB, so you can forget about the tedious process of updating both your Android device and PC. One thing I love about shopping at Publix is that if you can’t find an item on that’s on sale because they’re sold out of it, you can go to the customer service desk and let them know and they’ll issue you you a raincheck. These are good for 30 days, so you have plenty of time to wait for the item to come back in stock. I was able to take advantage of my first raincheck deal yesterday. A couple of weeks ago they had Glass Plus window cleaner on sale buy 1 get 1 free for $2.49. They were sold out when I went shopping that week, so I just grabbed a raincheck at customer service. I had two $0.50/1 coupons that doubled to $1.00/ea, and I used the raincheck when I saw the cleaner had been restocked, so I got them at the BOGO price even though they weren’t on sale anymore – and paid just $0.25/ea! If an item that’s on sale is out of stock, don’t be afraid to ask for a raincheck! Comments Off on Don’t Forget About Rainchecks!